A lot of iOS 11 is strange like this, features moved or relocated, hidden, tucked away, made different. I never understood why Apple changes the interface to something that everyone gets used to. To what benefit is it? iOS sometimes feels like an endless beta test with graphic designers arguing amongst themselves, without any User Experience team nearby. 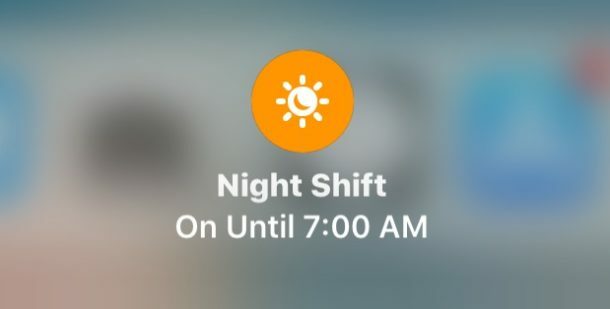 Oh well, I like Night Shift and thought it was easy to access before. This is a little strange, but it works. I am guessing most people will think the feature was removed though. Thanks for this. I searched and searched in Settings to try to figure out how to add this back to the iOS 11 control center before using Google and finding your excellent article, only to discover it was already in the control center all along. Combining those two settings actually has a certain logic to it, but I wish there was a hint that it was moved. 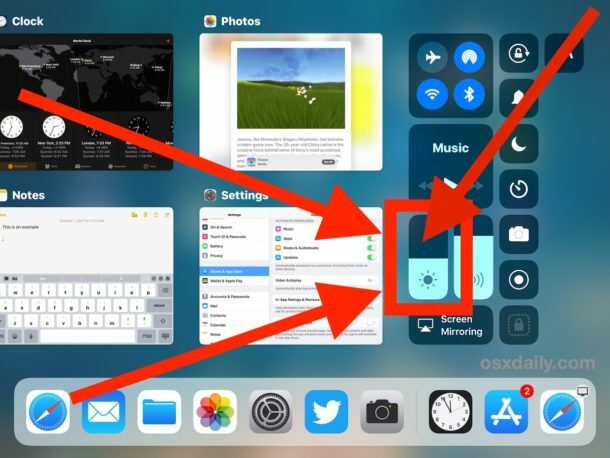 Either one of those play-one-time animated hints similar to the hints about the keyboard changes, or some sort of combined icon on the control that shows you that it does both things. Thanks for this! 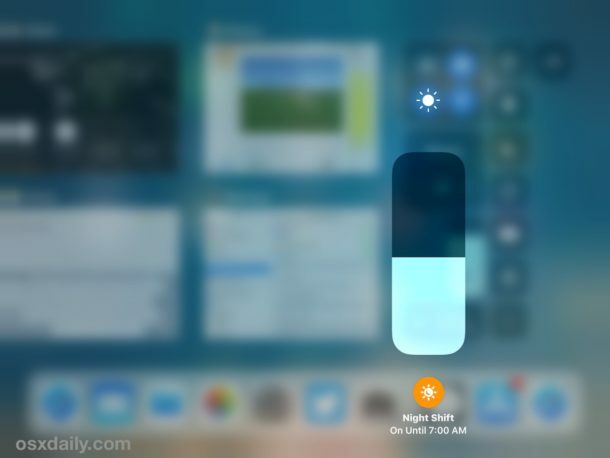 I’d reached the conclusion that the only way to access Night Shift in iOS 11 was thru General > Display and Brightness settings. And that was very annoying. 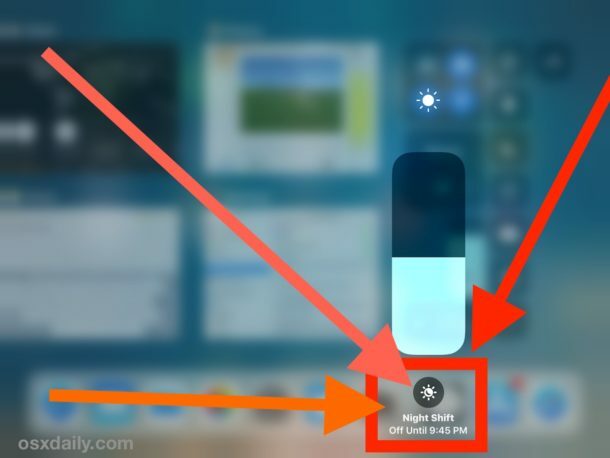 Now I know how to enable and disable it through Control Center. Thanks again for adding a little sanity to my life!